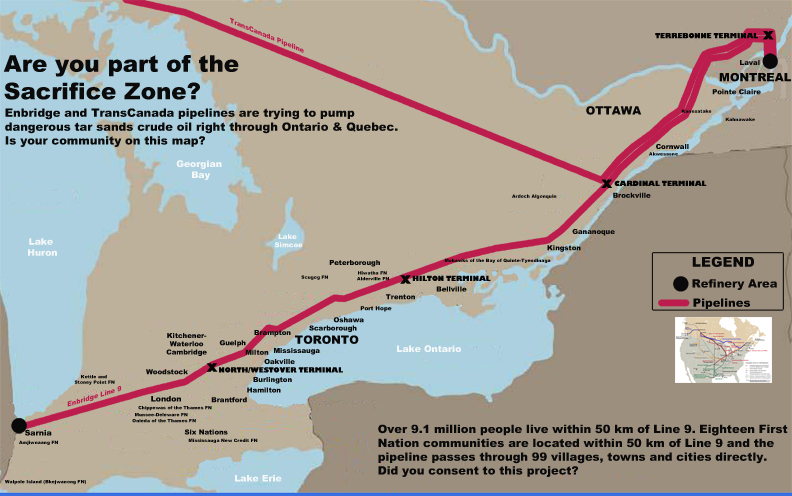 The Line 9 Reversal project being proposed by Enbridge Inc. intends to take a 38 yr old pipeline which stretches from Aamjiwnaang First Nation / Sarnia, ON all the way through to Montreal, QC. 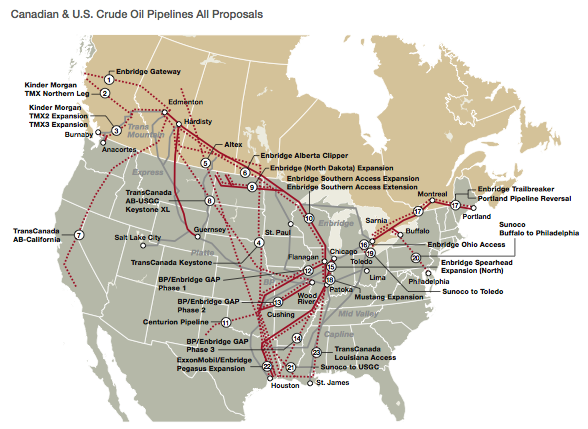 In the 1990s it was reversed to flow West to East and originally carried crude oil. However, this 3rd reversal request will require this nearly 40 year old pipeline to carry diluted bitumen, an experimental, highly corrosive tar sands product, through the Great Lakes region, parallel to the St. Lawrence river at higher temperatures and higher pressures. 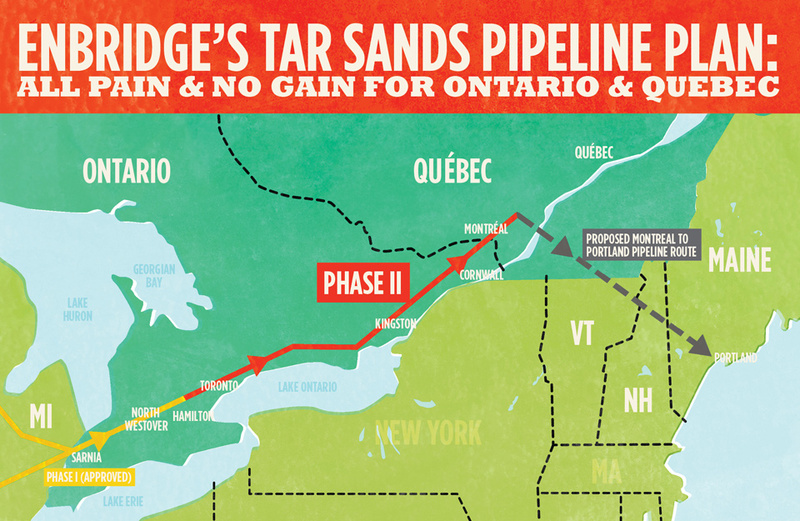 The Line9 reversal will allow for Tar Sands dirty dilbit to be transported across the mid-West and will connect with Line5 (which runs across the South shore of Lake Superior and Lake Huron, as well as runs through the mouth of the Lake Michigan) at Aamjiwanaang First Nation and Sarnia,ON as the Enbridge pipeline crosses North where it meets Lake Ontario and the St. Lawrence river. Line 9 dilbit will then run South through Vermont, New Hampshire until finally it arrives in Portland, Maine to be transported by super tankers for the global market.